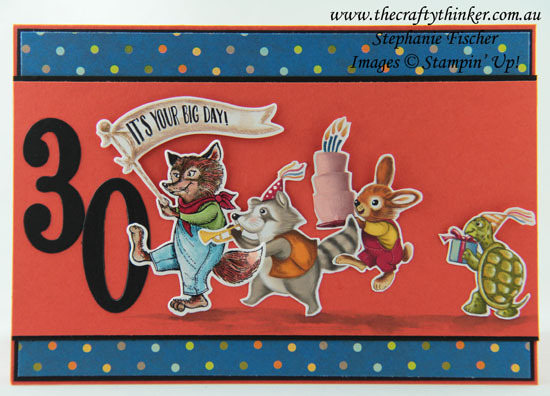 Perhaps this card could be seen as celebrating the 30th year of Stampin' Up! ... but actually I made it for the son of a friend. I think he'll appreciate the retro feel and touch of humour with the poor tortoise lagging behind. The card is also a retirement celebration for several of my favourite products! If you'd like to purchase any of the retiring items (subject to stock availability), pay a visit to the Last Chance Products in my online store. Curious about what's in the new catalogue? If you live in Australia and don't already have a Stampin' Up Demonstrator, contact me for your copy.